Hello friends! Smitha here today reminiscing with my old sketchbooks and Dual Brush Pens. I skimmed through my old sketchbooks and found three of my earlier brush lettering sketches to recreate today! Let’s see how my lettering style has improved or changed over time, shall we? I used the same color pens while lettering today because they are still favorites of mine. I have to say I like the “now” version better. The words are arranged closer and nest into each other nicely. 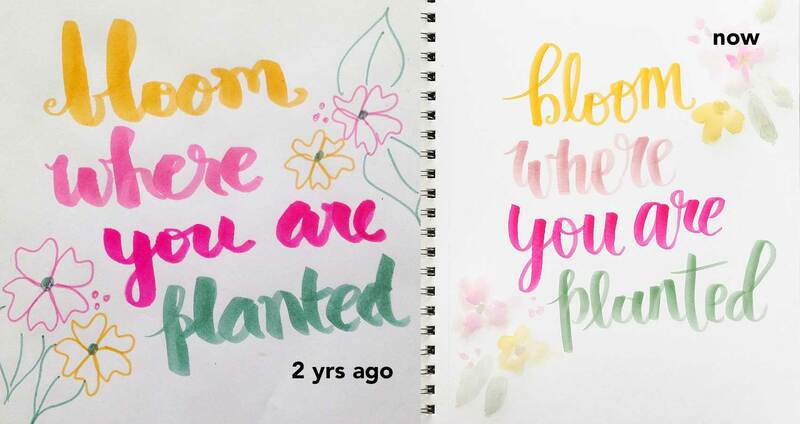 Here is the before and after of my second quote, “bloom where you are planted”. I really don’t feel like my style has changed way too much, but I was so unsure of my lettering two years ago. Now I feel more confident with lettering, and I feel my brush pen strokes show that. Here is the before and after of my last quote, “keep moving forward”. I used the Tombow Fudenosuke Hard Tip in the before picture. Two years ago that was my go-to pen. While I was a beginner, I found that the hard tip was so much easier to control during the upstrokes. I could create skinny thin upstrokes each time and that would always make me smile! Don’t give up! This might seem obvious, but learning brush lettering takes a little bit of practice at first. With the right pen and paper you will be able to quickly pick up the upstrokes and downstrokes. Go slow. 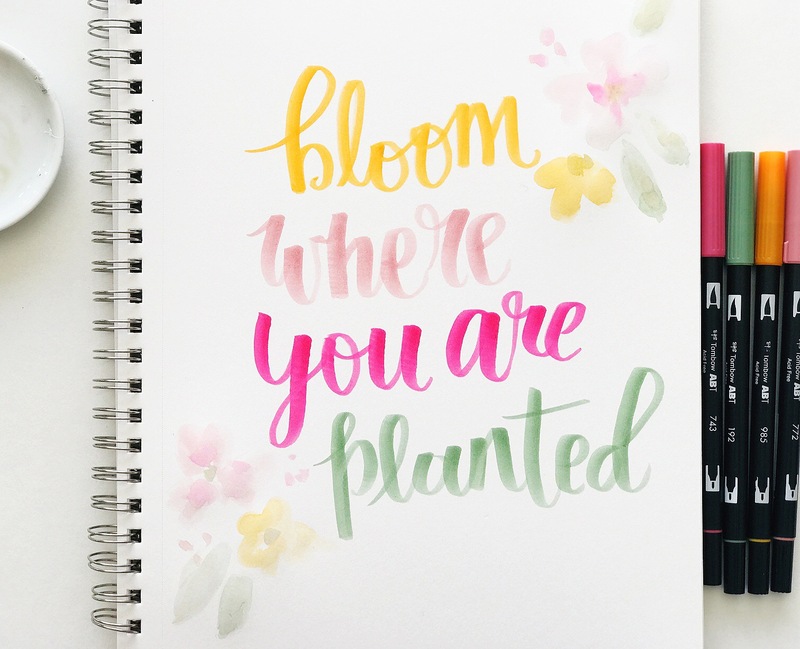 Take your lettering one stroke at a time and build up your letters. 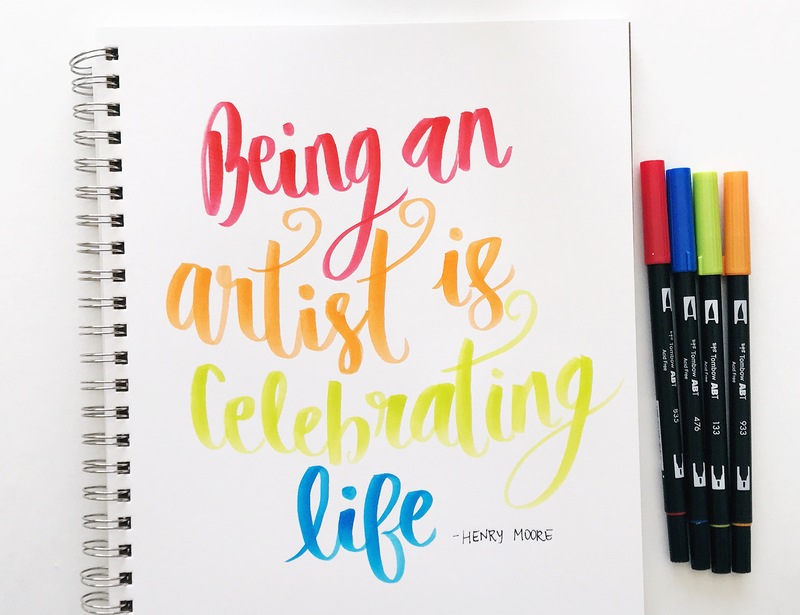 Keep practicing and enjoy your lettering journey! 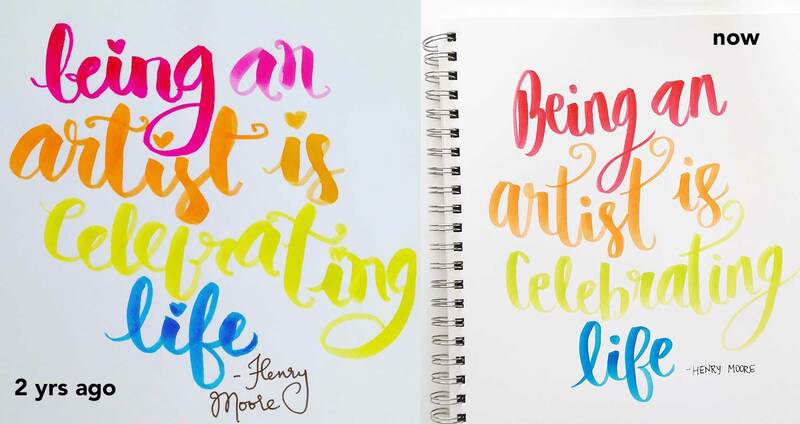 Here is a brush lettering compilation for you to enjoy watching! Hopefully it will inspire you to letter something of your own today! 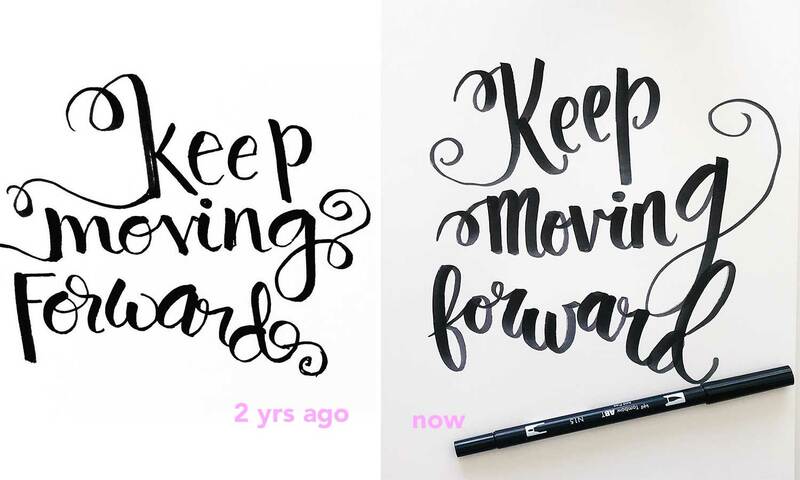 Have you done a before and after of your lettering? I’d love to see!